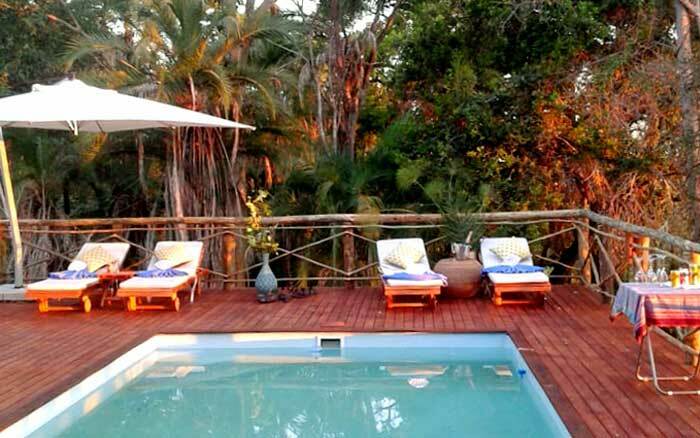 This small, privately owned and operated camp has a lovely island setting overlooking floodplains in the Okavango Delta. 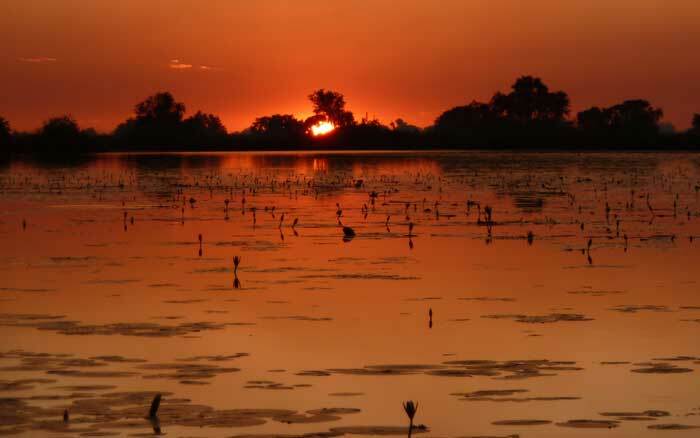 Mokoro rides and boat cruises are combined with bush walks for an absorbing delta safari. 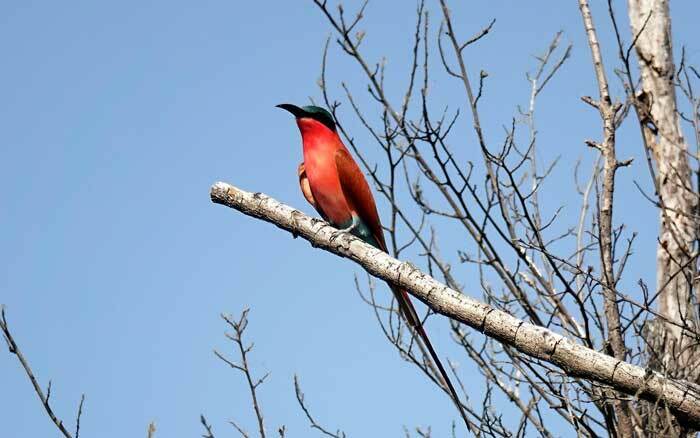 This is a privately owned and run camp on an island in the Okavango Delta, offering year round water-based safaris complimented by nature walks. 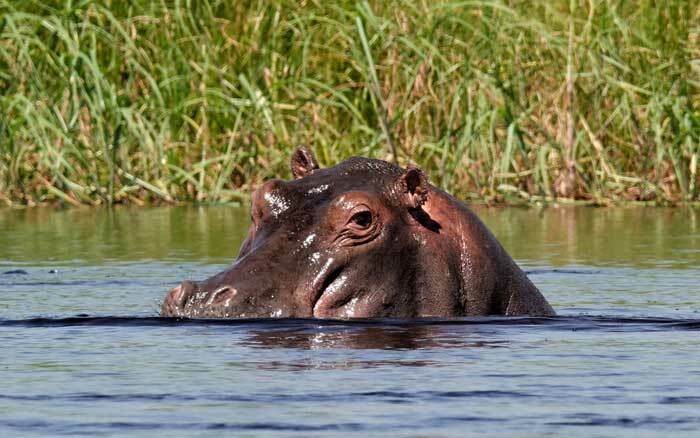 As this is a water-based camp game drives are not offered. 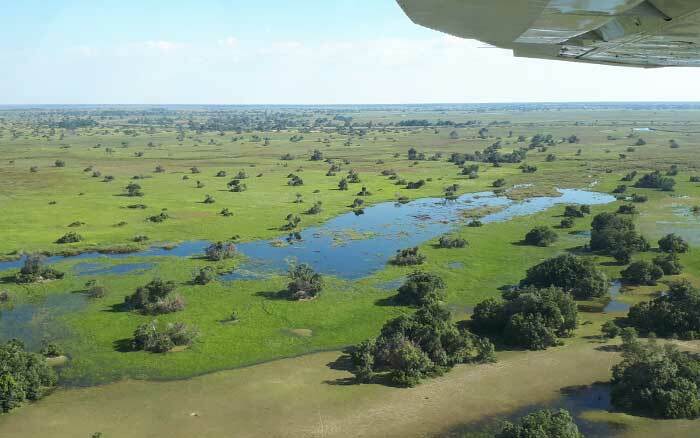 Setari is in a private concession, ensuring exclusivity, and is reached via a light aircraft flight from Maun followed by an hour’s boat ride, during which you may observe elephant, hippo and a variety of birds. Tents are set on wooden decks built among trees, and facing the floodplain. Each has a private deck where you can take in the views. The interiors are both spacious and comfortable. Free standing fans keep the interior cool, there’s a sofa for relaxing and you have both a shower and bath, plus an outdoor shower for ablutions. 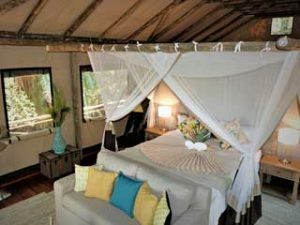 Two tents share are large deck and make ideal family accommodation. 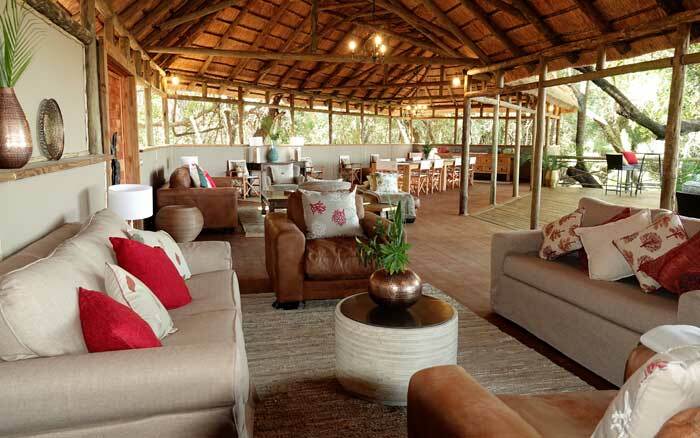 Wooden walkways lead from guest tents to the central areas, where you rest between activities, relaxing in the lounge and savouring freshly prepared food. Enjoy fine delta views from the expansive deck, which is also used for outdoor dining. 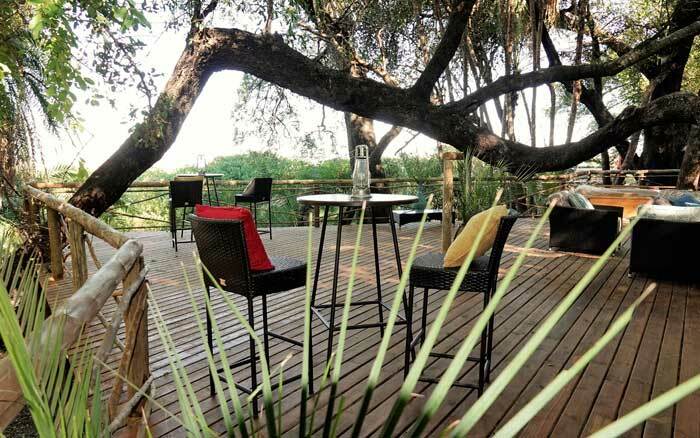 A separate deck houses the firepit, scene of sundowner and post-dinner drinks and chats. A little way away there’s an outdoor pool and sundeck, and a small gym. A typical day at Setari involves being awoken at daybreak for piping hot tea or coffee and biscuits prior to a light breakfast, then away on a boat cruise as you get ready for a mokoro ride, cruise or a visit to Jao village. You return to camp in time for brunch and spend the next few hours unwinding. Following afternoon tea you embark on your second activity, water-based or maybe a guided walk, returning in the early evening. 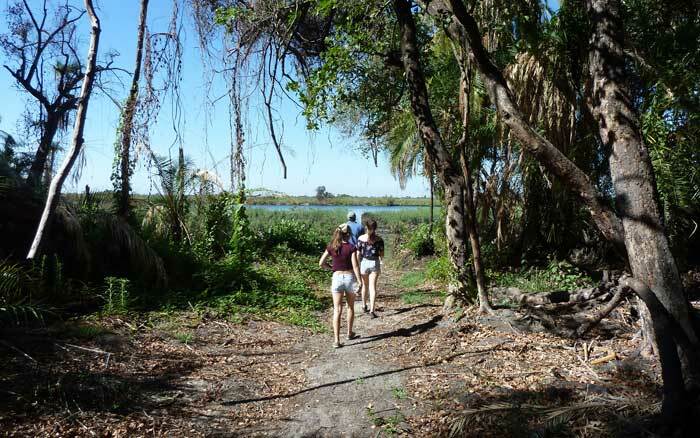 Alternatively you can go out on a full day walking trip including a picnic lunch returning for sundowner drinks. Children aged 6 years and over are welcome.There is family accommodation and child minding can be arranged. Walks and mokoro rides have a minimum age requirement of 12 years. 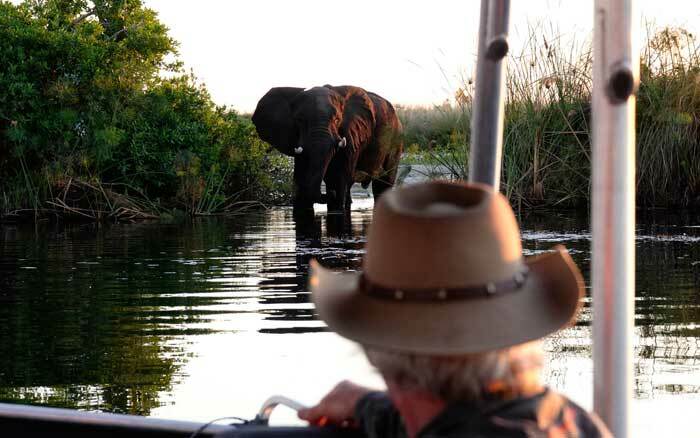 Families with children between 6 and 12 need to book a private boat and guide for safaris. 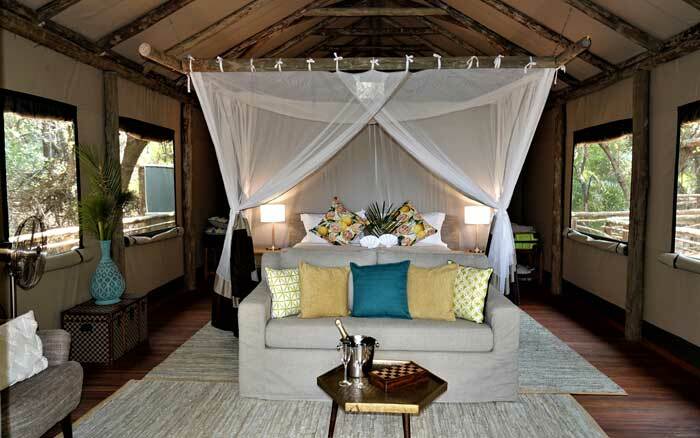 The tents are sturdy with wooden doors, canvas walls and timber floors. 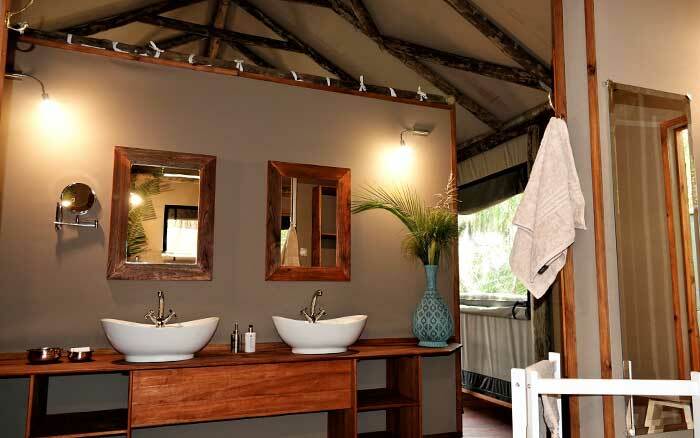 Beds are fitted with mosquito nets, there’s indoor seating, a desk, a large bathroom with a walk-in shower, bath and twin hand basins, a separate toilet and an outdoor shower. To the front there’s a private deck.